In 1951, as the Cold War was intensifying, the CIA decided to see how Voice of America radio broadcasts into Eastern Europe compared with Soviet efforts. 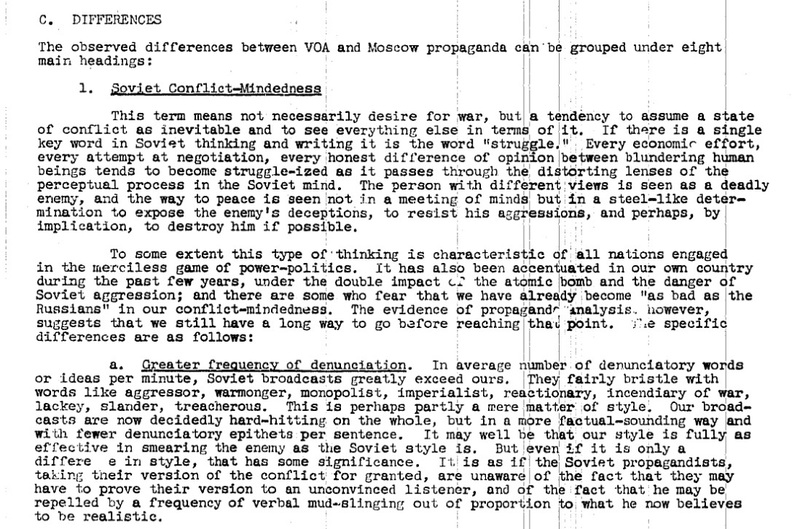 In a remarkably candid document, the Agency critically assessed the similarities and differences between U.S. and Soviet propaganda. Today, VOA claims that it was founded during the Second World War to provide “Unbiased and accurate information.” The CIA officers assessing VOA in 1951, though, saw the service as essentially similar to Soviet propaganda, going so far as saying that most Americans would be surprised by the similarities between the two. 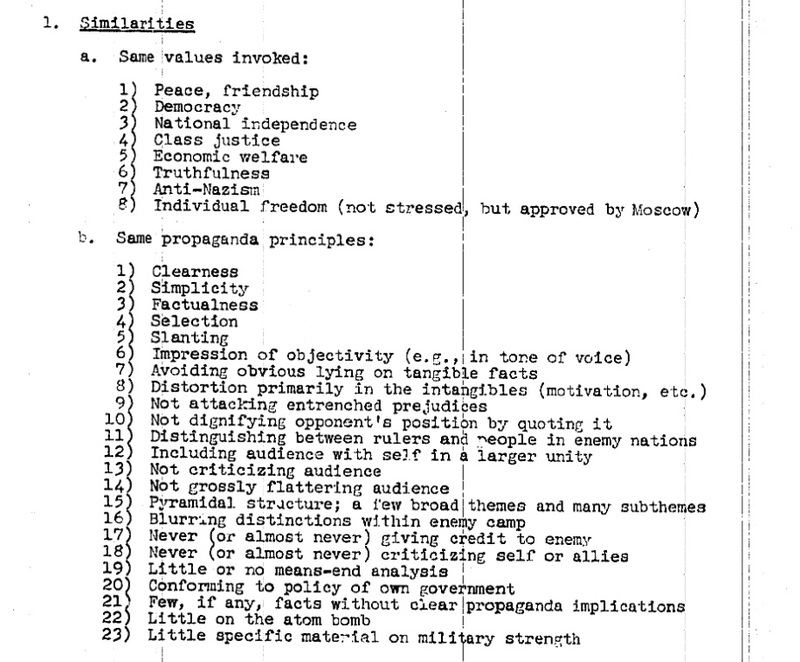 The document proposes that similarities could be the result of opposing countries imitating the propaganda put out by their rivals, and even posits the existence of an “international propagandists culture” that tended to produce similar techniques. However, it was in identifying where the two styles differed that the Agency saw the most strategic value. Changes in the National Defense Authorization Act this year ignited fears that VOA could be marketing itself to an American audience. If it does, the American public may get a direct demonstration of exactly what the “international propagandists culture” looks like today.